There’s been a great deal of discussion about whether pay-per-click advertising techniques align with the inbound marketing methodology. Many marketers claim that PPC doesn’t because ads aren’t permission-based, but are interruptive and intrusive during the search process. Additionally, many criticize PPC because you have to pay for placement, compared to the organic nature of inbound. Leverage inbound marketing how you see appropriate, but what it comes down to is that inbound is “any kind of marketing that reaches customers when they go looking for something to buy.” If an AdWords ad appears in the search results of a term that you'd normally be unable to rank for and produces a click, isn’t that still inbound marketing? It's essentially the same principle behind optimizing your site pages for specific keywords to drive organic traffic. PPC may not be right for every company, but if you’re looking to increase search visibility quickly, then incorporating a well-targeted and -structured PPC campaign can help do just that. Are there words or phrases that are similar to your product or service, but do not align with your brand whatsoever? Those are the keywords you should add as negative keywords. For example, here at New Breed we design and develop B2B websites, but only on the HubSpot COS and WordPress. Therefore, if someone were to search "Drupal website redesign," we wouldn’t want our ad to display because we know he or she wouldn’t be a quality lead. By adding negative keywords, you’re ensuring your keywords are only attracting searches that a qualified lead would perform. Quick hack: There’s a handy report in AdWords under the Keyword tab. Click “Details > Search Terms > All” to find the exact searches that showed your ads. Here you can go through how much you spend on each keyword to remove any that don’t align with your product or service. Ad extensions are a type of ad format that shows extra information about your business, such as your phone number and address. By leveraging ad extensions, you can improve the visibility of your ads because they often appear above the search results, rather than along the side. Plus, they cover more screen space above the fold. Ad extensions also improve the click-through rate of your ads, which ultimately means more traffic to your website. Extensions don’t have an additional cost aside from your CPC. App extensions - Show a link below your ad text that sends people to the app store or begins downloading your app. Call extensions - Let people click a button to give you a phone call. Location extensions - Help people nearby find your nearest storefront or give you a call. Review extensions - Showcase positive, third-party reviews from reputable sources. Sitelink extensions - Add links to help people find what they’re looking for. Callout extensions - Add descriptive text to your ad to help people learn more about what you have to offer. Social extensions - Show how many Google+ followers you have. Dynamic structured snippets - Show additional landing-page details automatically with your ad on Google search. Seller ratings - Show your online business ratings with your ad. AdWords has an extension that allows you to show links to specific pages on your website beneath the text of your ads (and in addition to the main landing page). This allows searchers to more quickly choose what they're looking for on your site with less clicks. By providing that additional information through sitelinks, your ads may show more relevance and appeal to potential customers. Show shortcuts: Link directly to popular or high-converting sections of your site. Update easily: Change link text and URLs whenever you want. Detailed reporting: Find out how many clicks occurred on your ad when sitelink appeared. 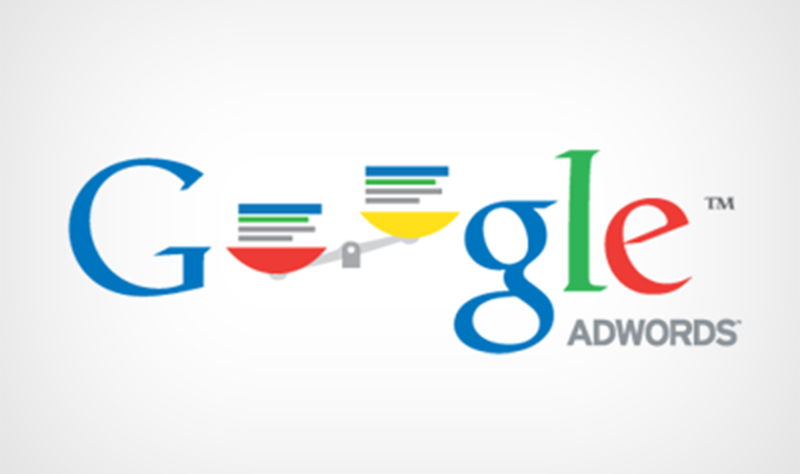 Data retention: Edit your sitelinks without resetting their performance statistics. Scheduling with start and end dates: Specify the dates, days of the week, or times of the day your sitelinks are eligible to show. Incorporate long-tail, low-competition keywords to your ads not only to increase the quality of traffic coming to your site, but also to decrease the cost-per-click. Typically, three- and four-word phrases tend to have less competition and represent buyers rather than lookers. To create long-tail keywords, add adjectives or modifiers to your existing keywords. For example, rather than using "marketing automation,” use “best marketing automation platform” or “time-efficient marketing automation.” Stuck on which long-tail terms to use? Try using Google's keyword planner to develop and analyze a list of terms. Additionally, you can leverage match types to increase the quality of leads and help control which searches can trigger your ad. For example, you can use broad match to show your ad to a wide audience or use exact match to hone in on specific groups of customers. Broad match - This is the default matching option. Your ad may show if a search term contains your keyword terms in any order. This is a great option for not spending a lot of money while generating a large amount of traffic. Broad match modifier - You can add a modifier to any of the terms that are part of your broad match keyword phrase. By adding a modifier, your ads can only show when someone’s search contains those modified terms or close variations, in any order. This is a good option to increase relevancy. Phrase match - This match type will display your ad when someone searches for your exact keyword, or your exact keyword with additional words before or after it. Phrase match will give you more precise targeting. Exact match - With exact match, your ads can appear only when someone searches for your exact keyword, without any other terms in the search. This is the most precise form of targeting. These four optimization techniques are just the tip of the iceberg. There are many more ways to take full advantage of your PPC campaign and generate high-quality traffics and leads.